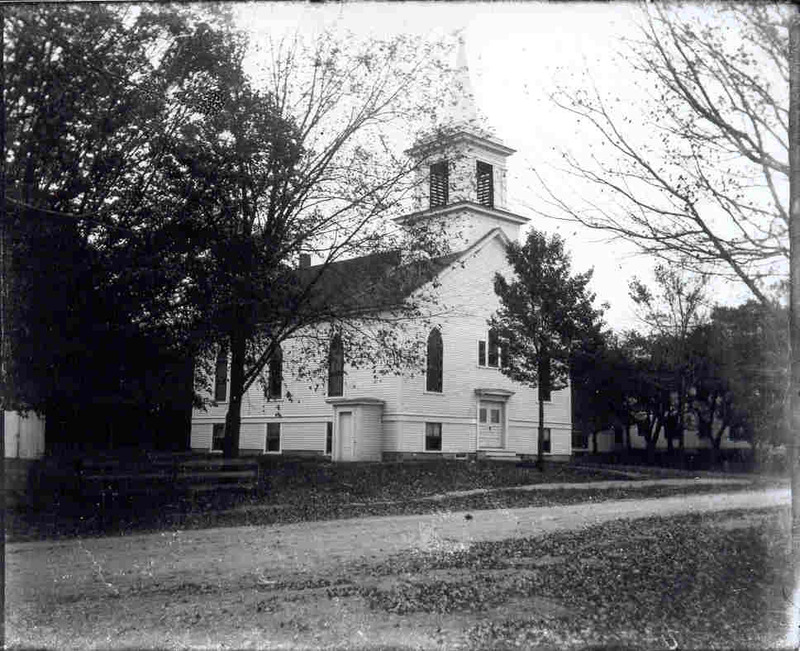 The origin of the Congregational Church in Hudson, NH dates back to November 1737. Rev. Nathaniel Merrill was settled by the town and been ordained as the first minister of Nottingham, Mass. The town was responsible for hiring a minister, paying his salary, and providing a Meeting House. The site of the first meeting house on what is now Musquash Road is marked by an historic tablet. After the boundary was settled between Mass and NH and the town of Nottingham West, NH received it’s charter, many acres of the earlier town had been left in Mass. The town voted to move the preaching to a more central location just a short distance from the present Blodgett Cemetery. Rev Merrill’s contract with the town continued until 1774; however he continued to preach in town until shortly before his death. The last baptism recorded by Rev Merrill was in July 1792; and the last marriage in December 1795. Although his contract with the town had expired in 1774, the town did vote various sums of money for his support from time to time; including $7.82 plus a coffin for his funeral in 1796. A short time before 1750 a number of families of the Presbyterian faith settled in the eastern part of town and attended meetings of their own denomination in either Londonderry or Windham and helped to support their own minister. Naturally these families protested against being taxed in support a minister of a different faith. It was not until 1770 that the Presbyterians, by vote of the town, were released from these taxes. By 1771 they built their own place of worship, the North Meeting House, in Hudson Center near the site of the present Wattannick Hall. The Rev John Strickland was their pastor until 1785. Meanwhile the Rev Jabez Pond Fisher was called by the town in 1795 amid protests. By 1802 the town owed him over $1,000 in back salary; he resigned his position and brought a suit against the town for his salary. For the next 15 years or so the Congregational Church was inactive; by about 1816 there were signs of a union between the previously conflicting sects. The Congregational church united with the Presbyterians. This merger lasted until 1841 when the Presbyterian organization was dissolved and 26 of its members formed the Congregational Church of Hudson. By 1842, under the Pastorate of Rev Willard Holbrook, the church building as shown in our first photo, was built at what is now 76 Central Street. Periods of growth and periods of inactivity continued until 1876 when the church became active with a spirit of growth and union. By 1906, during the Pastorate of the much beloved Rev Franklin Perry Chapin the church building was remodeled as shown in our second photo. Stained glass windows and a basement area were added, and the front entry was modernized. 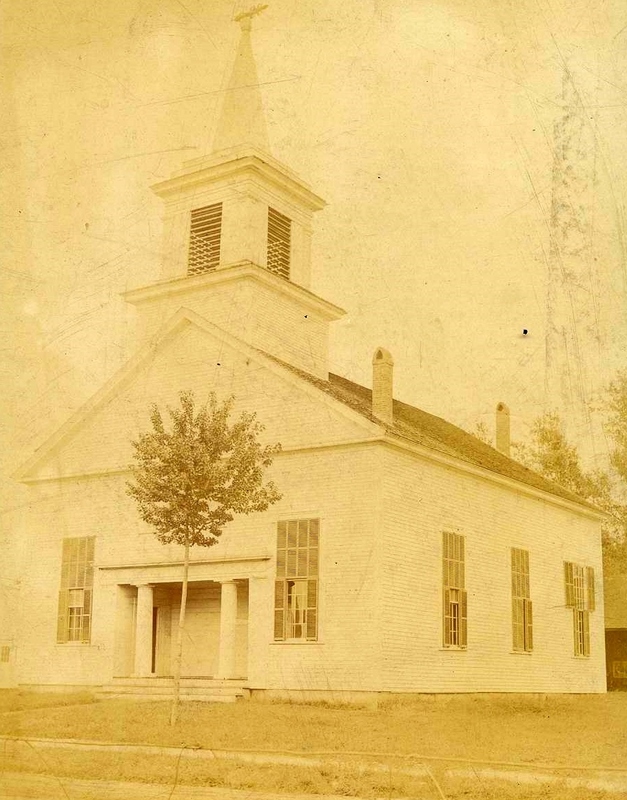 In 1912 the Congregational Church of Hudson celebrated its 175th anniversary. As time passed questions were being raised over the need for two Protestant churches (Congregational and Methodist) in the Hudson Bridge Area. In 1930 these two congregations united to form the Community Church of Hudson. At the time of the merger, each of the congregations had their own place of worship and their own parsonage for the pastor. Through the merger, the Congregational Parsonage and the Methodist place of worship were retained. By 1935 the Congregational Church building was sold to Hudson Grange #11. In November 1937, the recently organized Hudson Community Church celebrated it’s 200th Anniversary!! These photos are from the Historical Society collection. Much of this historical information was prepared by Dr. H.O. Smith and presented by him at the 200th Anniversary in 1937. By Ruth M Parker in Central St, Churches on January 13, 2017 .